It has never been officially in. I did make builds upon a time with Game Music Emu added in, and I could do that again if I find the time and motivation for it (would have to be redone from scratch, too many code reorganizations and overhauls since then, plus the GME code has been updated too). I've compiled latest Slade for Linux x64 (date: 14.10.2017 - git version: 45d8868) and made an "AppImage". AppImages should run on every modern Linux based Distro. It packages the executable with all it's needed dependencies. Dependencies are usually a problem within Linux because every Distro has it's own version of the dependencies, AppImages bypasses this problem. I also made a version where you can edit the slade.pk3 if you have to because the AppImage is one big file. The script "run_slade.sh" is basically the same idea how AppImages work. I've tested both versions on Arch Linux, Fedora, Debian and Lubuntu. 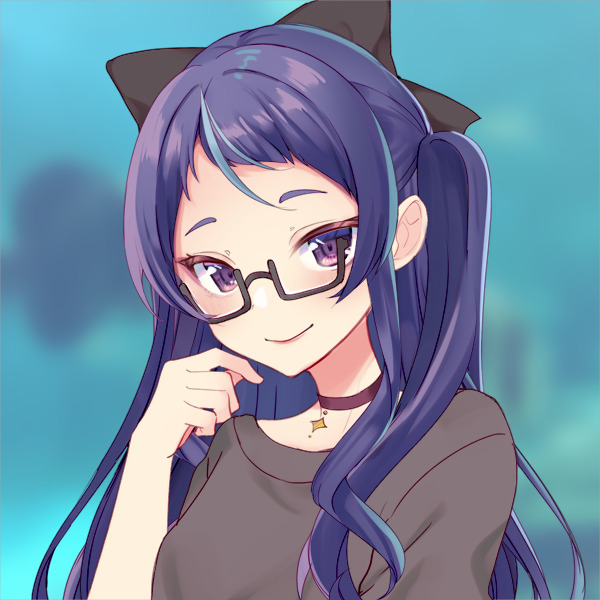 Maybe the Developers can make AppImages for future versions of Slade. I've noticed a problem in SLADE in regards to the Blood palette. I was trying to recolor the Blood spider to be the same color as the red that is in the game, but the only colors in the palette are the wrong shade of red (almost orange), could it be that Blood uses its other palettes or some of the actors? (like the Beast vision one for example has more red colors) or has the palette been set up incorrectly? Another problem is when I recolor the Baron of Hell, it looks fine in SLADE but in game there is random dark red patches all over him, yet every single shade of red in the palette i've translated. I could provide the translation code & screenshot for examples. Are you using PNG's? There is a limitation in GZDoom (since it remaps PNG's) that might prevent the remap from taking full effect; it cannot always predict that the colors being remapped to will be the same ones that Slade sees. The only way to fix this is to convert the images in question to Doom format. A bit more information would be helpful. 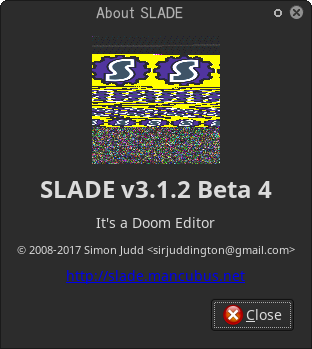 Is this the first time that you installed Slade3? Did you install into a dedicated folder? Did you previously use an older version, eg Slade2? Did you install the appropriate Runtimes? What does the logfile look like? 22:04:02: Read game configuration "doom2" + "zdoom"
I don't know what the Warning is all about. The editor runs fine. Just throwing out some random thoughts. You can see where this is going. I see that the latest build has cropping now. I didn't thought that there's already cropping via console. I hope, they'll keep the "crash" command, it's funny! So, I have some suggestions for this program. An option to auto-crop multiple selected images (the ones with transparent space), including a option to type in the size of the free space aftermath (like in Game Maker 8, to prevent partial sharp edges), would be nice. Like in XWE, I can auto-crop images but I have to do this with every single image. When doing a custom font, this is like a nightmare. Support for umlaut letters. When I type in these letters like "Ä Ö Ü ß", they'll become garbage like "Ã„ Ã– Ãœ ÃŸ" in game or other programs than SLADE. This needs to be fixed. I mean, XWE can handle this and it's one of the most buggy programs I've ever used in my life. Autocrop is already in, use the "adjust" console command. Non-ASCII characters depend on the character encoding used. Might be a good idea to allow to change the encoding for the text editor. DEfault shouldn't be UTF-8, though because no port currently uses that. "adjust" doesn't work on multiple images. Instead it prints out "No image selected.". Sometimes slade break right after launch. Version and build dont play any role. I've tried reinstalling it a few times to no avail. Any idea what's up with that? Is it the only problem? Just a corrupted icon? Other graphics are fine? Yup, everything else works great. I have no idea what's causing that in particular to be broken.